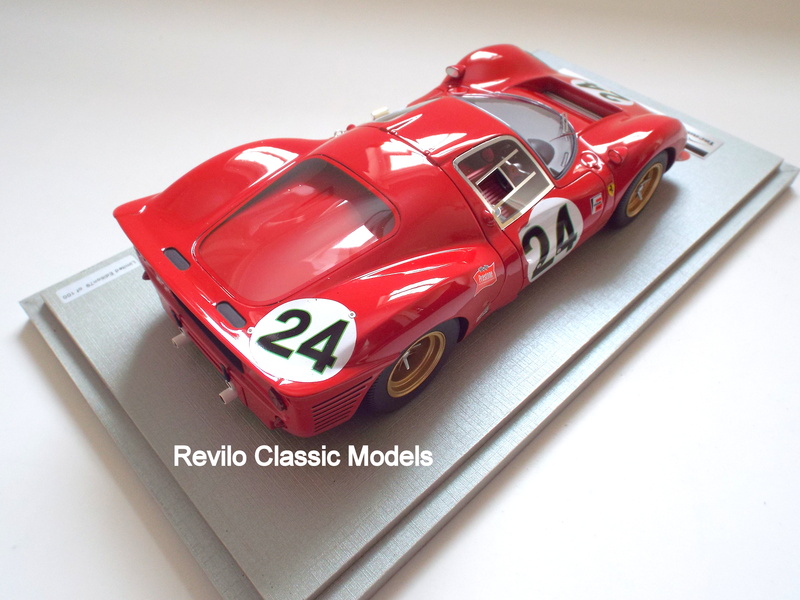 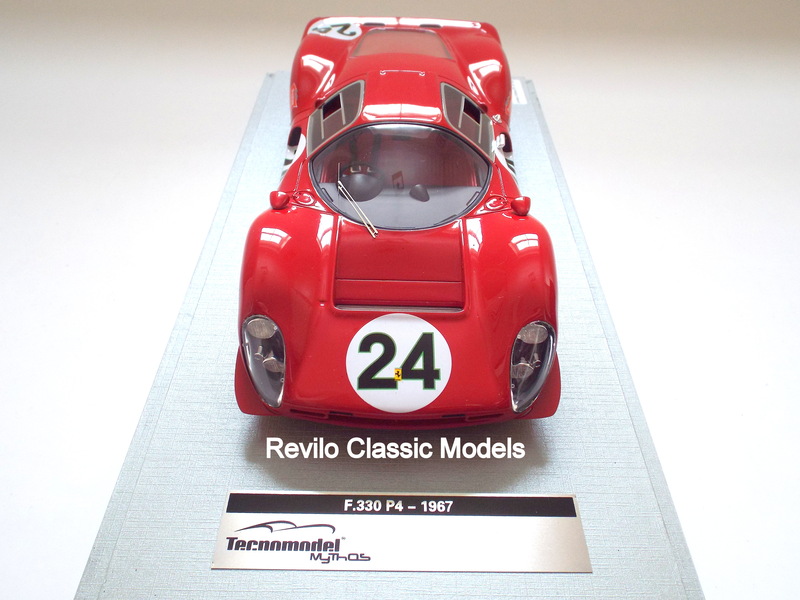 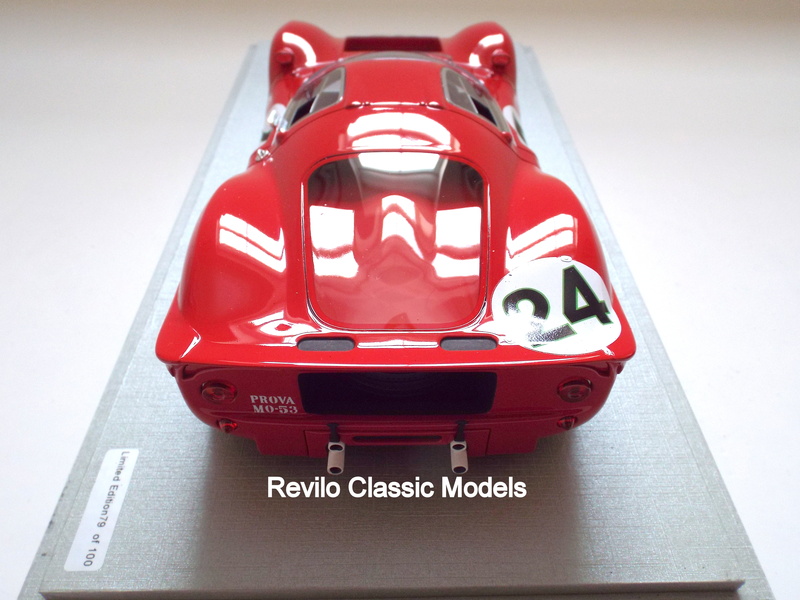 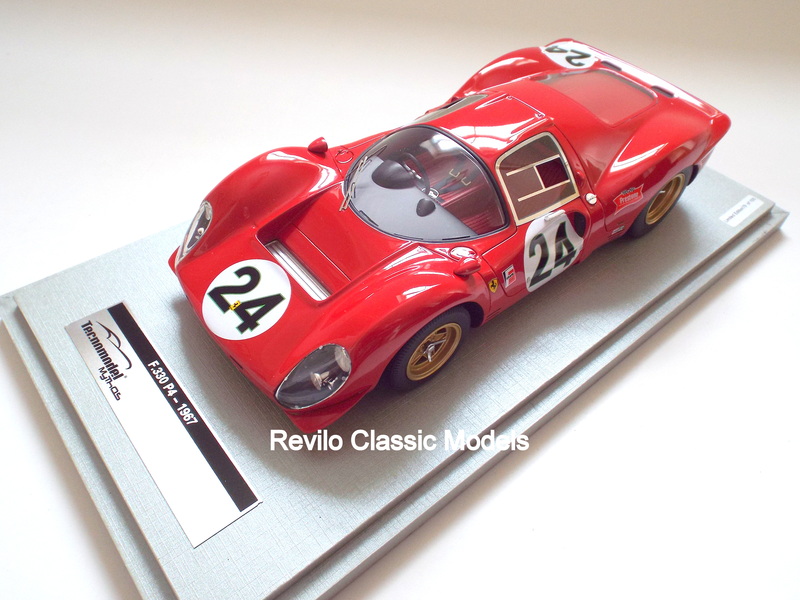 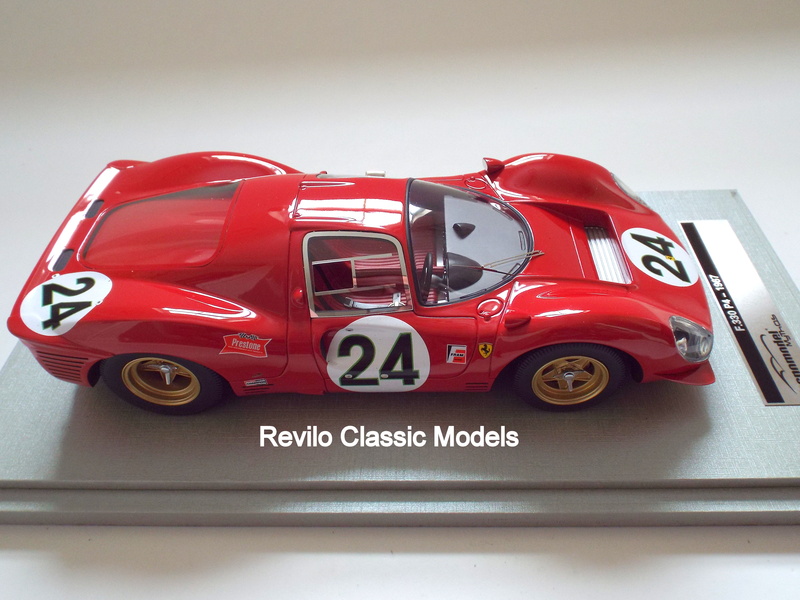 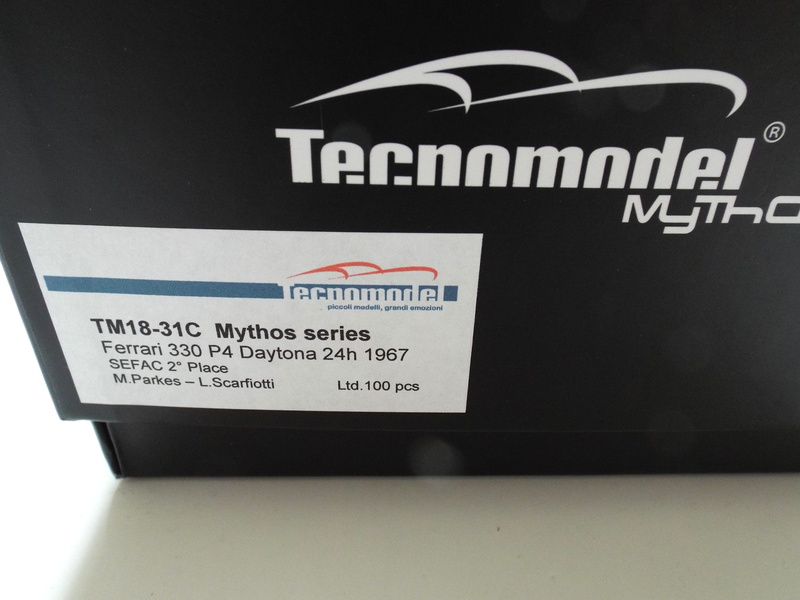 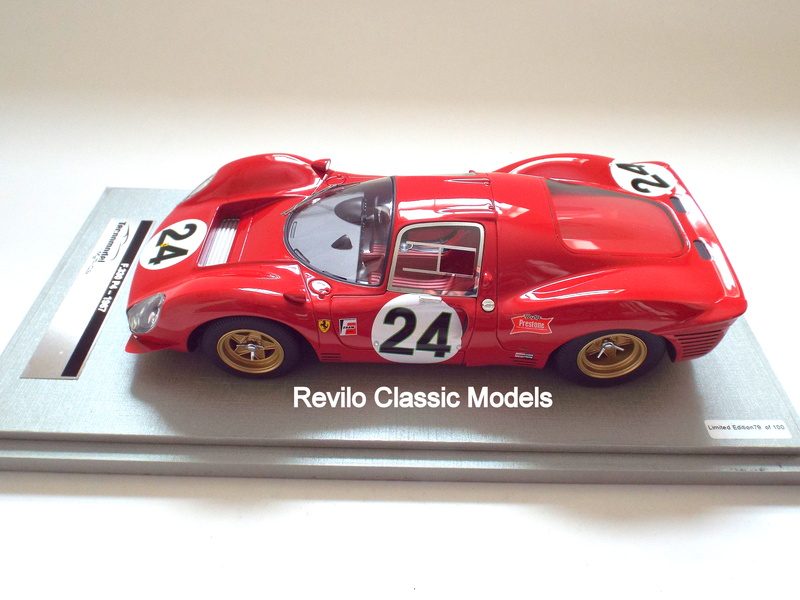 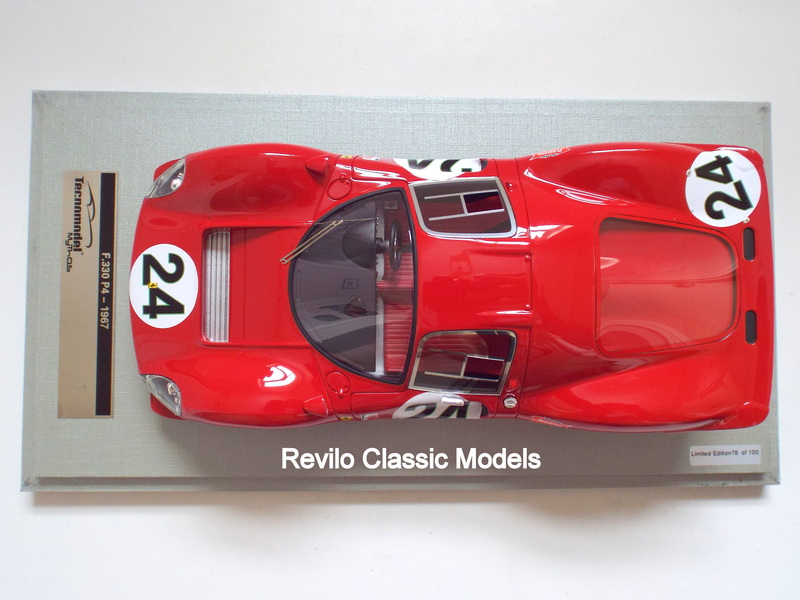 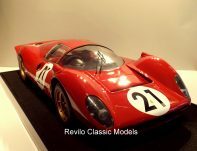 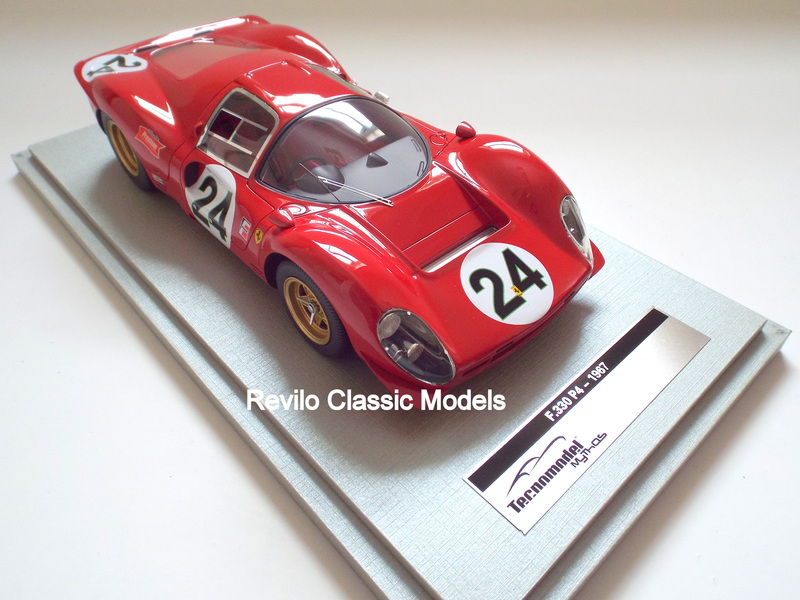 Tecnomodel 1:18 Ferrari 330 P4 #24 1967 Daytona 24h #24. 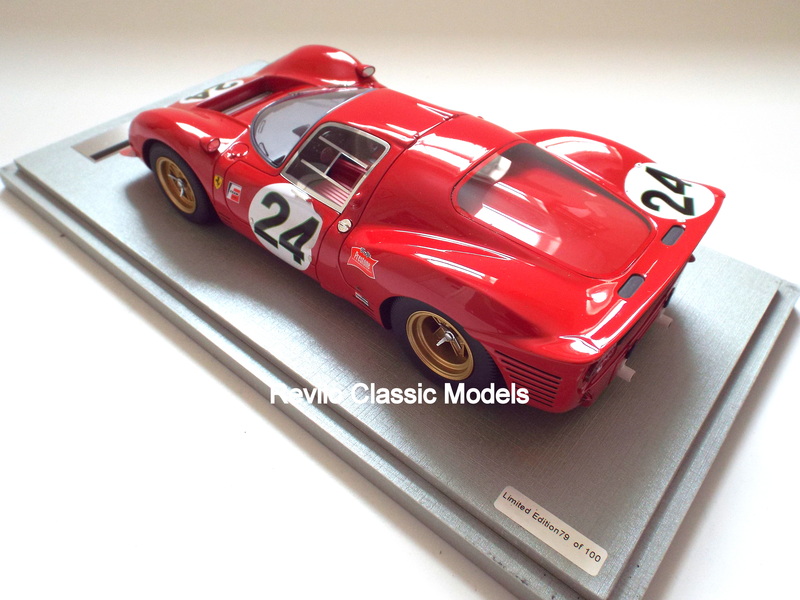 Limited edition of 100 brand new 1:18 scale ‘kerbside’ model of the #24 Ferrari 330 P4 that finished 2nd in the famous 1-2-3 vistory in the 1967 Daytona 24 hour race, driven by Parkes and Scarfiotti. 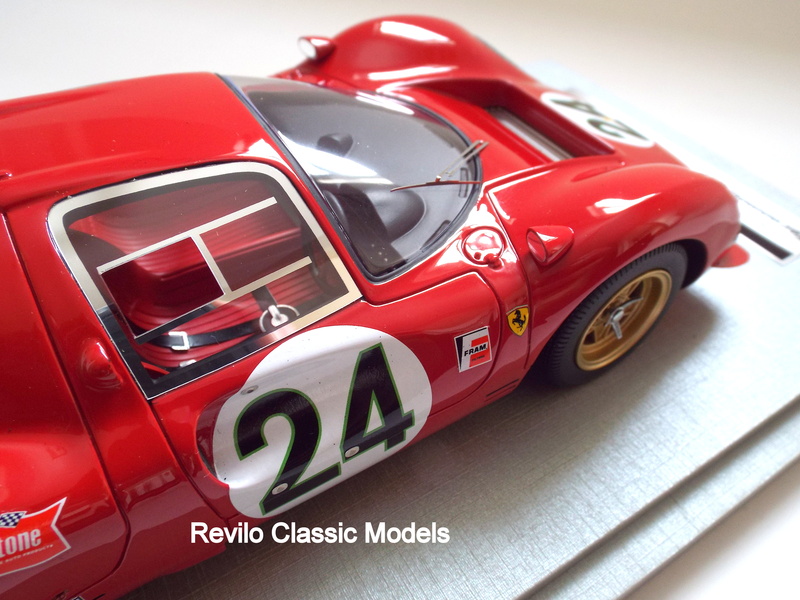 The model is beautifully detailed with fabulous paint finish. 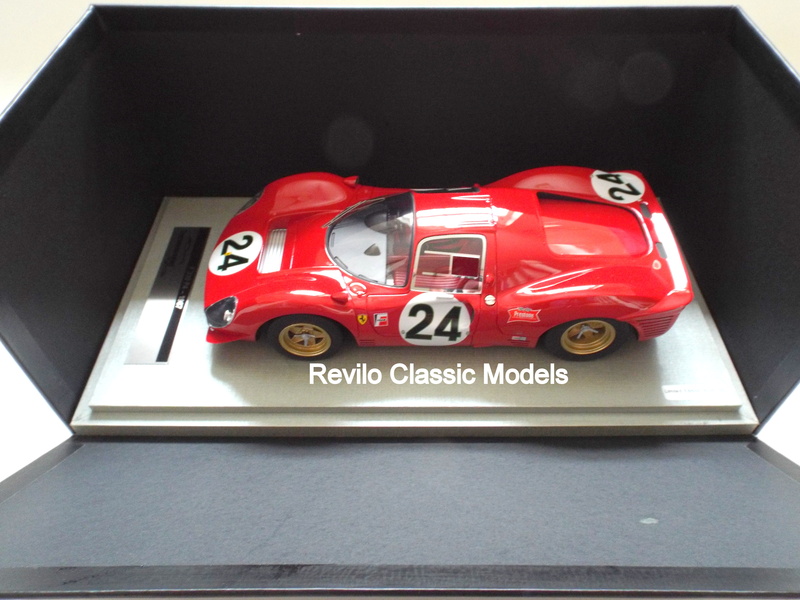 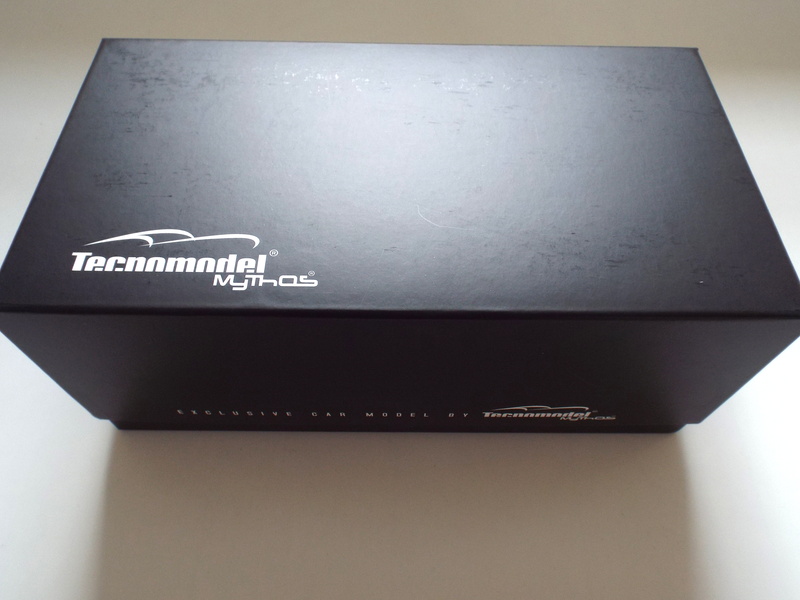 The models sits on a grey display plinth with details of the model and limited edition number.